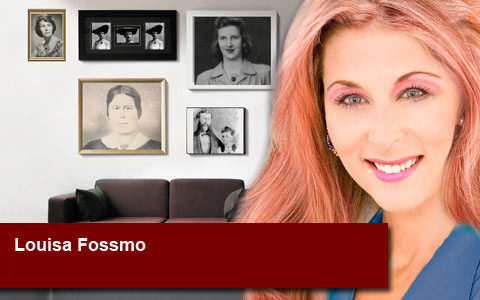 Conversation with Louisa Fossmo in her residence. Is it correct that you and your husband went out for dinner the evening of February 20? Yes, that’s correct. We had a lovely evening. What time did you leave the restaurant? Oh, I’m not sure. We had a three course dinner and then we went to the bar. Werner was so sweet and ordered a bottle of champagne when I was in the ladies room. We cheered and listened to the band. We must have been there about an hour…I would have loved to stay longer, but I’ve been a little tired lately. So after that we went home. The dinner took maybe two or three hours and then an hour in the bar. We must have been home between 11pm and midnight. What did you do when you came home? We went to bed. Like I said, I’ve been a little tired. Werner went to bed at the same time? Yes, he cuddled with me. I’m sorry to ask this, but is it possible that Werner may have had an affair? No, it’s not possible. Werner is so sweet to me, and he has always been. How many husbands take their wives to wonderful restaurants and give them nice presents just like that, without a reason? Werner would never cheat on me.